On this page you have thunderstorm safety. That's because of our tropical climate. 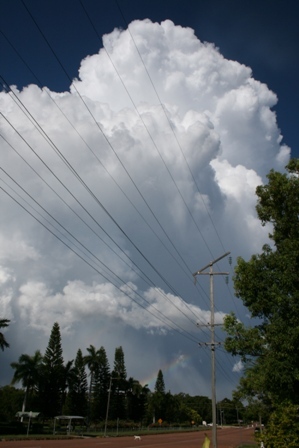 While electrical storms can occur anywhere on Earth, they are most frequent, and most severe, in the tropics where huge storm clouds can build up seasonally almost every day. They can be very spectacular to watch but they can also be dangerous, particularly if you are outside - so it's good to know when to expect them and what to do to stay safe. When Are Thunder Storms Around? As our Dry Season comes towards its end in the second half of the year, the weather gets warmer and warmer. From October onwards it's the 'build-up' to the Wet Season - the so called troppo season when the temperatures get quite hot even by our standards. From about November (even though it can vary from year to year), the humidity also gets worse. 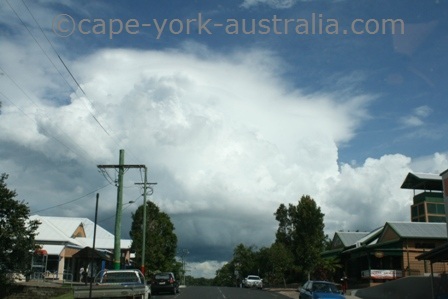 Mornings are not too bad but around lunch time the heat builds up, and the warm air in combination with the humidity builds huge, towering tropical storm clouds in the early afternoons, usually starting about in October - November. It takes an hour or a few for these clouds to develop the storm, but usually by late afternoon they have turned into powerful electrical storms with wind, rain and spectacular lightning. Their season lasts until the moonsoonal rains (the 'proper Wet') roll in and cool the temperatures down, which stops the storms from building. That can happen anywhere between November and (more likely) January. 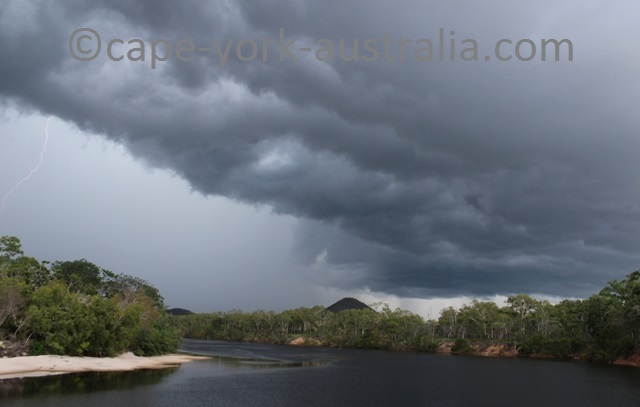 Luckily most people are out of Cape York by November, but some may not - I have been on a camping trip in Mungkan Kaanju National Park when the storms had arrived. We drove 60km into the park in the late afternoon, just to turn around and drive 60km out again... a thunderstorm is neither a safe or comfortable camping weather. If you are out and about when a storm strikes, or even if you are at home, it is good to know some thunderstorm safety. 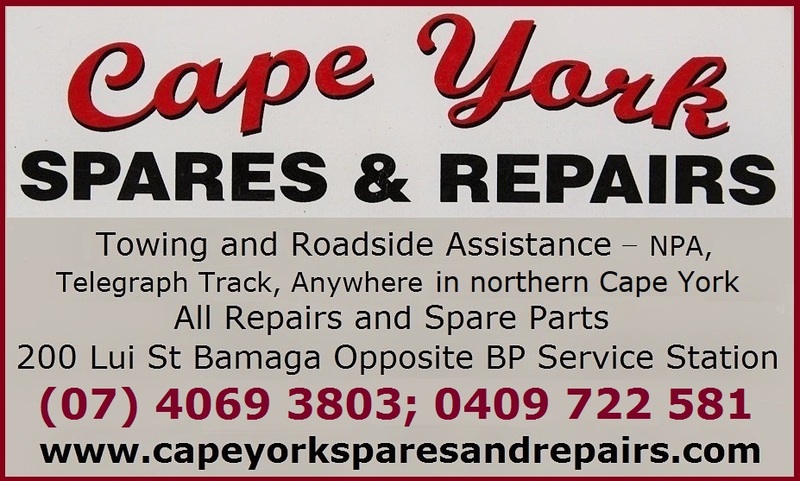 Thunderstorm safety is good to know when camping out in Cape York. It's one of them things that we think we know, but when I started reading about it, I realised there were things I had been wondering, and there are things that people are wrong about. Metal does not attract lightning, it conducts electricity. Rubber boots or car tires are no protection from a strike. Things like that. If you are driving as a thunderstorm happens, stop the vehicle but try not to park under a tree or anything that could fall over in storm. 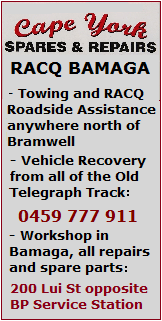 Be also aware of power lines that may break and fall down on/near your car. Keep yourself inside and make sure all the car windows are closed. Do not touch any window glass or any metallic parts of the vehicle during the storm. If the car is struck, the electricity will be conducted through the metal body around you - not through you. But what if you are walking.. well the best thing would be to find a safe shelter. A safe shelter is a substantial building that is grounded, maybe even with lightning rod(s). Other buildings such as public toilets and sheds, or even worse - open structures such as picnic shelters are not good. They may attract the lightening but provide no protection to you. If you cannot find thunderstorm safety in a shelter, remember - the worst places to be are hilltops (try to move from higher to lower grounds) as well as open areas such as fields and beaches where there is nothing around you that is taller than you. On the other hand, being close to isolated taller objects like trees and light poles is very dangerous too. The lightning can be attracted to them, but anywhere it hits it can travel several feet along the ground, so if you are too close you can still get hit even though it didn't strike you. Stay away from fences, clotheslines and other metallic objects and structures. Also remember that umbrellas, golf clubs, even watches, earrings and belt buckles or coins in your pocket are all metallic and conduct electricity. Squat down as low as possible on the ground with head tucked down and feet close together. No laying down - only your feet touch the ground as you need to minimise the contact with the ground or you will be a more attractive target for the lightning. Even if the crouch wouldn't save you from the strike, it would protect your vital organs and you might get a smaller injury. But of course, you could avoid the whole thing by watching the skies in time and not going for a walk if it looks too bad. 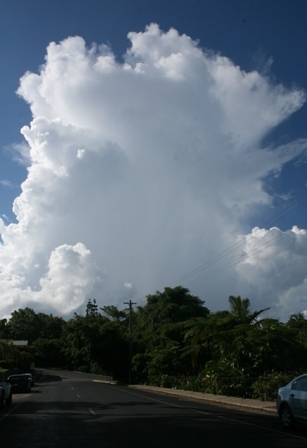 It is not hard to work out - the clouds of powerful thunder storms are very distinctive, at least here in the tropics (I am not sure about elsewhere) they are massive, thick clouds that build in height. Like with walking, be aware about the possibilities for a thunderstorm when taking your boat out to the water - it's even worse to be out there if a storm would come along. Watch the skies and know the seasons and the times of the day - late afternoons roughly between October and the start of the Proper Wet. If you do get stuck, get out. And if you don't manage, stay on the boat. It is not a safer option to jump into the water, which is an excellent conductor of electricity. Even if you are in the safety of your home during a thunderstorm, there are still a few things to think about. Unplug electrical appliances as well as corded phones and modems. Keep away from metallic door knobs, power sockets, and anything that could conduct electricity. Water and plumbing conduct electricity so do not bathe or have a shower, or wash your hands, dishes, or do laundry. Close windows and doors, and stay inside, not on your verandah or balcony.